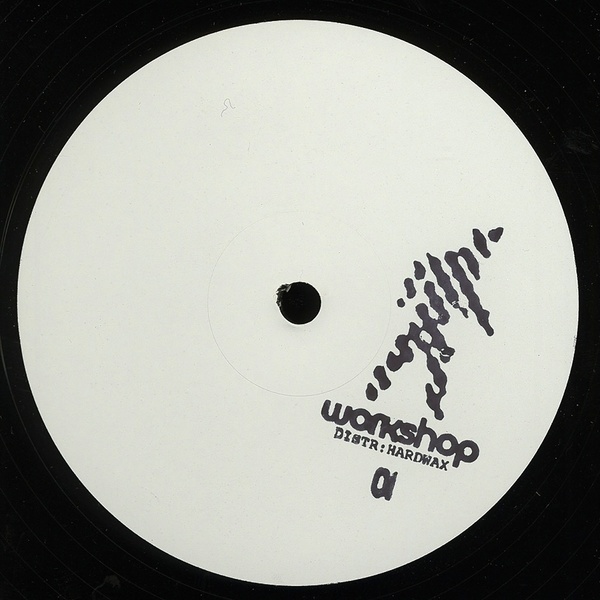 Some deliciously anonymous wares from Workshop outta the Hardwax camp for all the minimal crew. I've not heard of these fellas before before but now I feel like I should, this is some very high quality and butter smooth minimal techno with strong neo-detroit leanings, like a reduced redshape for a good comparison. The A side cuts it with some meticulously tight edits dragging you onto the floor over lush spherical subbass and 2 note synth, simple but very effective. The b-side offers 2 more treats with a trickling Detroit melody with more than a hint of teutonic flavour, perfect Carl Craig fodder. The last cut is pure Panorama bar styles, square bass functions and subtle synth pads offering a cool breeze direct from Detroit. No doubt you'll hear this played by Cassy and any of the Hardwax crew this christmas and beyond.